Timekeeping History Instruments to tell the time first evolved in Egypt as early as 5500BC in the form of sundials. Next came water clocks, letting water at a regulated rate through small holes into a bowl until it sank. Water clocks (clepsydra) were refined over time to become more accurate with pointers and floats. Then came hourglasses, which when upended, allowed grains of sand to fall through into the other chamber at a regulated rate. Candle clocks and incense sticks were also used to measure the time through burning at a regular rate. 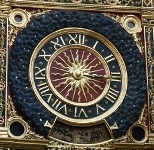 Mechanical clocks were first crafted between the 11th and 13th Century in Europe. They consisted of gears and wheels which were turned by weights attached to them. A single hour hand marked the hours. These clocks became popular in churches and monasteries and would tell when to toll the bells for regular prayers or church attendance. 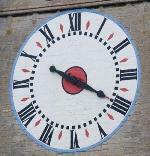 As technology further developed, the clocks became smaller. In due course they became small enough to put on a wall or mantelpiece and would eventually became small enough to be portable. The evolution of the Pocket Watch. Spring-driven clocks were invented in Italy in the late 1400s. Building on this pioneering technology, Peter Henlein (1480 - 1542), a locksmith from Nuremberg, Germany, created the first pocket watch in 1524. 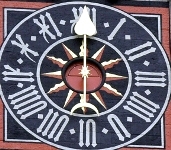 Henlein's watches, had only a single hour hand. Minute hands would not appear on watches until 1675, when the invention of the balance spring by Dutchman Christian Huygens, meant that clocks and pocket watches would be accurate enough to add a minute hand. Modern Day Single Hand Timepieces Influenced by early watch design, several watch manufacturers have crafted a single hand watch suitable for modern day wear. Single hand watches are also now produced by Karl Falk Watches, MeisterSinger, Jorg Schauer, Botta Design and Defakto among others. There are also variations upon the single hand watch, such as the Mr Jones Cyclops watch featuring circles for markers and a moving circle to denote the time.